It's absooooooooooooooooooooolutely freezing here in Wales. Luckily for me I've got my Heat Holder socks! About 6 months ago I was kindly sent some Heat Holder Socks but I was unable to review them as the weather was so mild. Luckily for me the weather has turned freeeeeeeezing and my heat holders have finally had the outing they deserved. 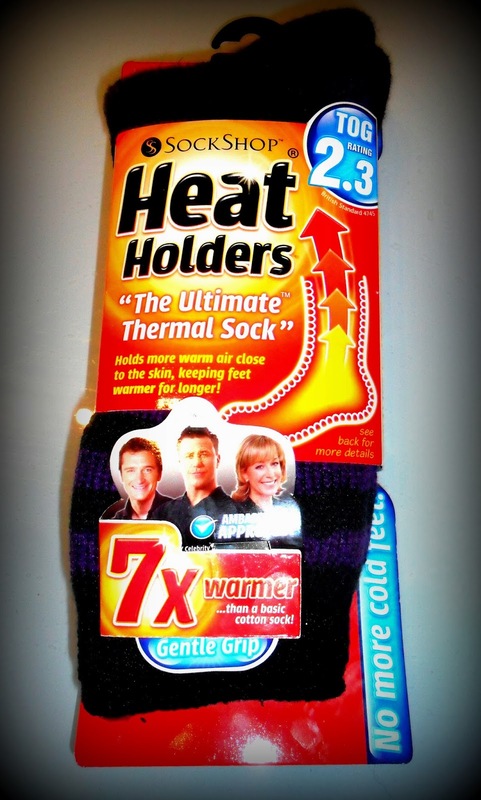 Heat Holder socks are thermal socks that are sooo warm that they come with a tog rating - you know the thing you look for when you're buying a duvet?! These socks have tog rating of 2.34 which is not as high as a duvet but my little tootsie's still felt like they were under a duvet cos they're 7 x warmer than regular socks. 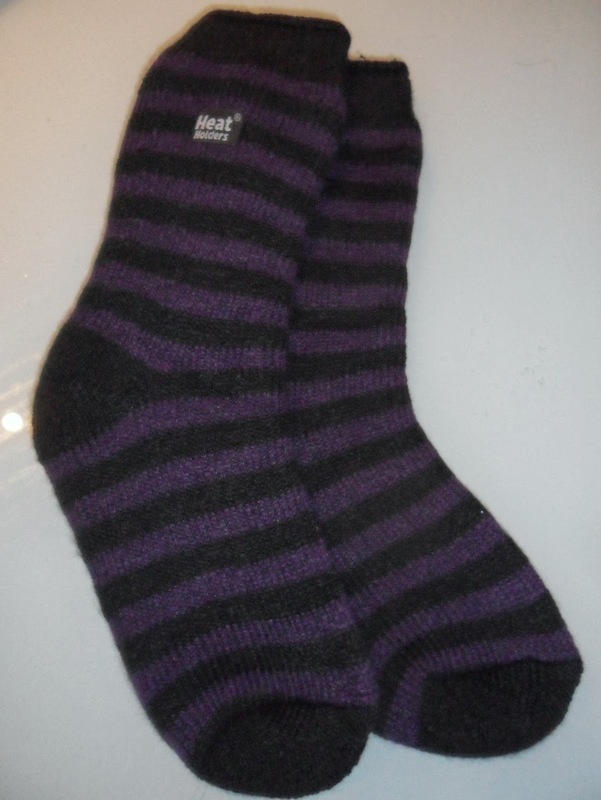 The socks are nice and thick - you probably couldn't wear them everyday unless you're wearing winter boots but you could wear them with Hunters or with ski boots in Val d'isere. I'm loving the Heat holders socks and I must admit that I'm gonna be sad when the weather warms up as I won't be able to wear 'em for a while.